The new LookyHD Touch incorporates a bright, vibrant and intuitive touch screen producing superb crystal clear images and exceptional brightness utilising the touch interface on the 5″ screen. While embracing the future we have been careful not to lose sight of the features that made previous Looky models so successful. With this in mind we have still retained the handle, which now has a dual purpose: The handle also contains the battery. 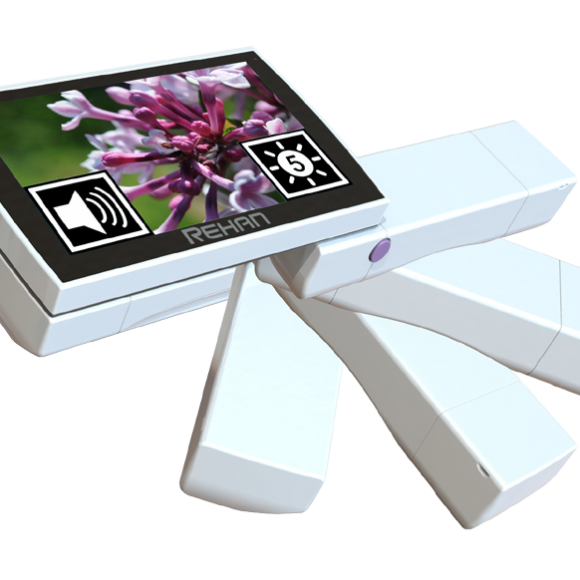 The handle can be easily removed for your convenience when the LookyHD Touch is not in use, and also replaced once the battery eventually depletes. 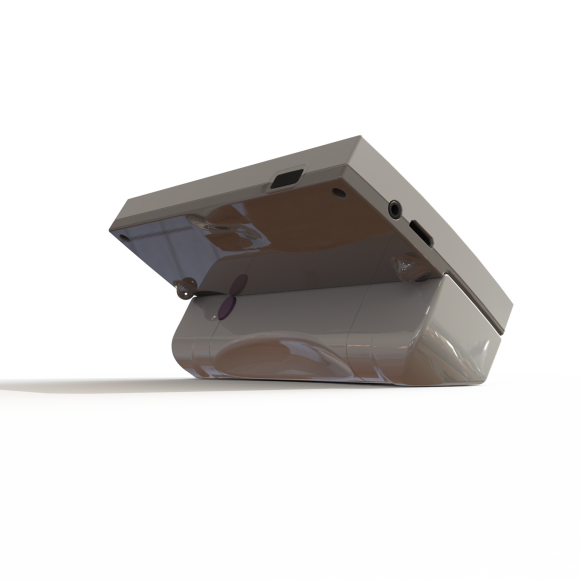 The handle system allows for you to bring along an extra charged handle as back up if you should require it. should require it. 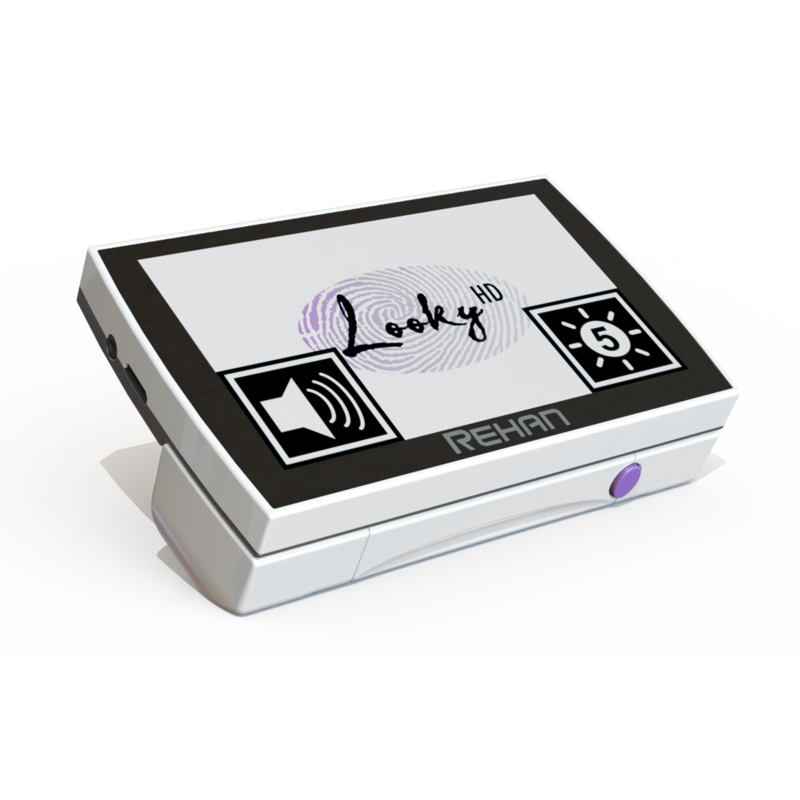 The LookyHD Touch is the most advanced yet simple to use portable magnifier on the market and incorporates many other exciting features in one compact and sleek design. - Dimensions: 5.2 x 3 x 1.3 in.